Thank you to everyone that entered and for your continued support of the National Motorcycle Museum! Watch the Museum website for information on the 2017 Fundraising Program. We have a nice surprise for you, and hope you will want to donate and enter to win! 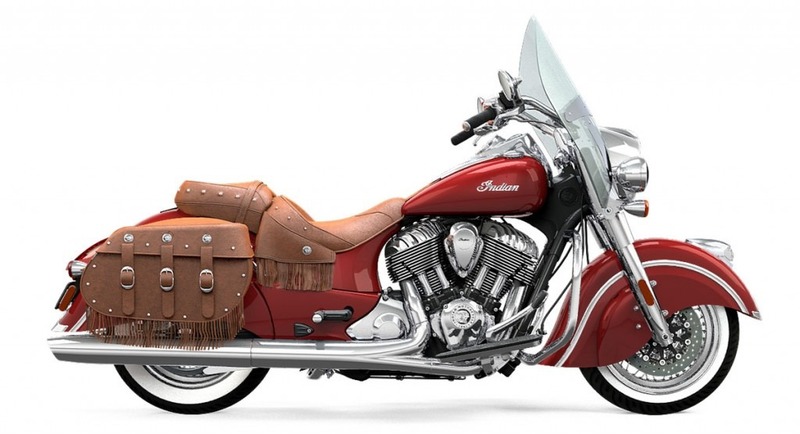 The amazing 2016 Indian Chief “Vintage” brings classic Indian styling to a whole new level, and you could win it! It’s the best of all worlds: Timeless, authentic style, versatile features and modern technology for a smooth-handling, high-performance ride. And here is your opportunity to donate to win this great machine, make it yours. 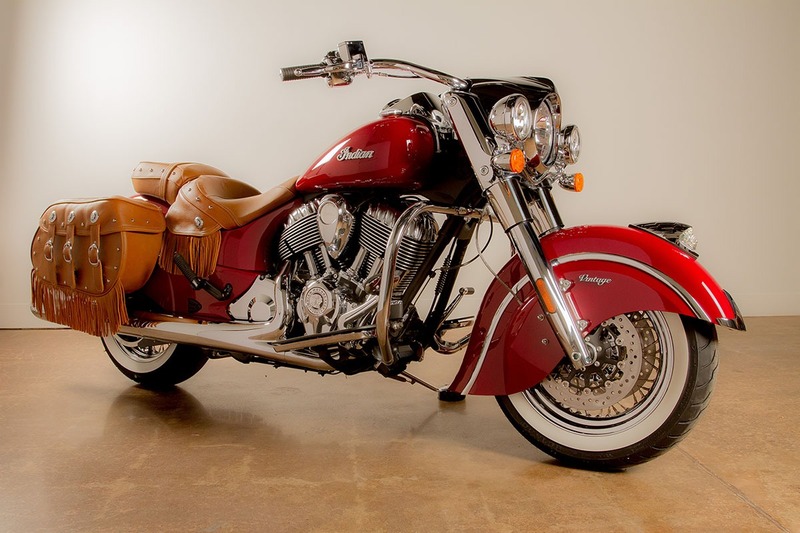 Get on and ride the latest and greatest from Indian, and help the Museum! 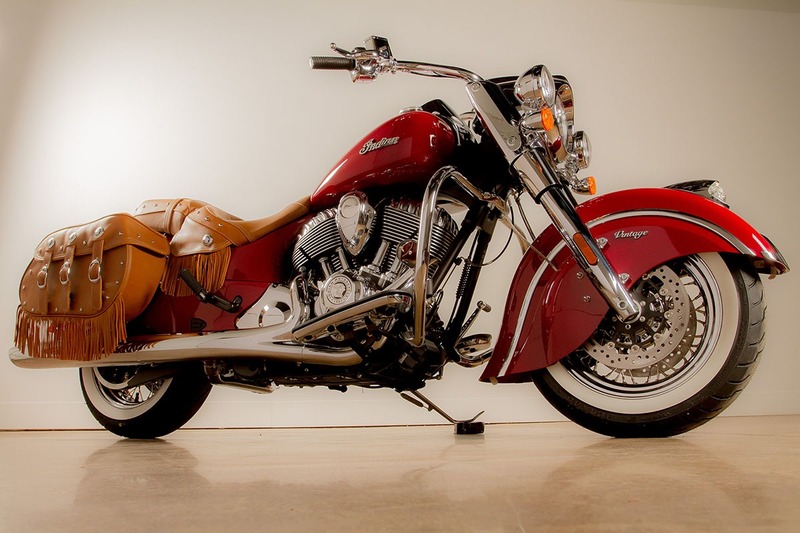 Valanced fenders, elegant and functional, standard since 1940 on every Indian Motorcycle®. 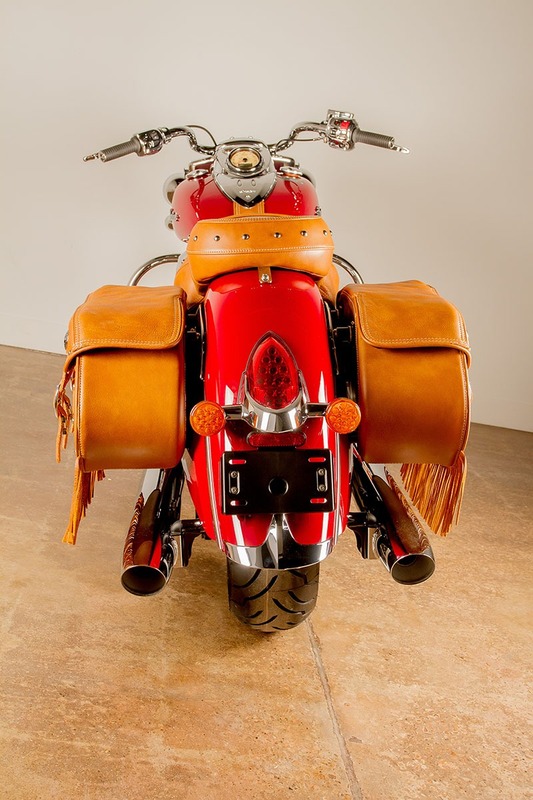 Spacious richly tanned quick-release leather saddlebags. Console mounted and key fob operated locking. Full electronic dashboard, keyless ignition and cruise control, too. The all-new OHV Thunder StrokeTM 111 engine pays tribute to legendary Indian engines. Classic badging using the Indian script; a hallmark of the historic Indian brand, first created in 1910. Lustrous Indian Red paint, the standard Indian paint color starting in 1912. Extensive Chrome Plating of virtually every surface that can be chromed. Light Bar, plus War Bonnet Lighting mounted atop the front fender, the way as it has been done since 1947. Genuine Leather Seating made with quality leather, becoming more distinguished over time. New for 2016 is a SECOND PRIZE, a premium quality Indian RACER leather jacket valued at $495. If you don’t win the 2016 Chief “Vintage,” you might win this jacket, available in mens’s and women’s sizes! 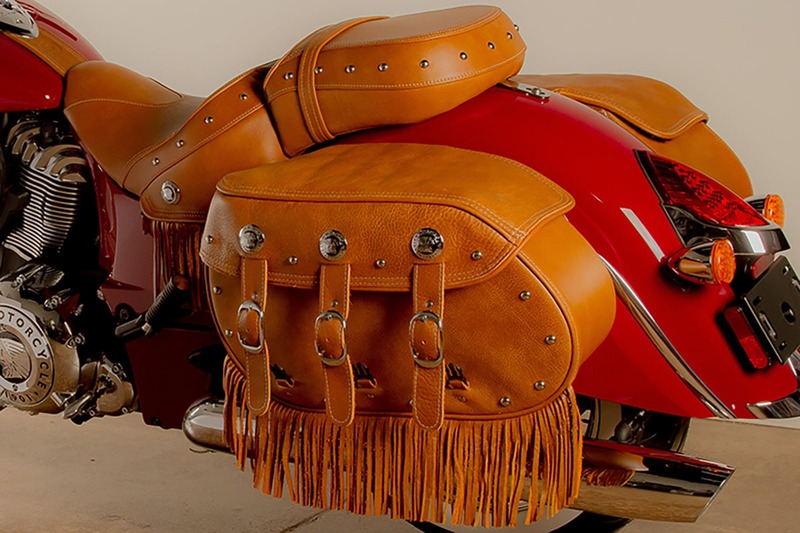 Because you have shown your support of the National Motorcycle Museum, we are giving you the opportunity to win this classic piece of rolling sculpture and workmanship, continuing your support of the Museum. For your donation you’ll receive an entry for a chance to win; $5 donation for one entry, $25 for six entries, you get one free entry when you donate $25. Just go to the Museum website to download a form you can mail back with payment, or use an electronic check and donate to win on line. Note: We will confirm your on-line ticket purchase via an email which will list your actual ticket number(s). Your ticket(s) will be put into the drum with other entries, but your actual ticket stubs will not be sent to you. The drawing for the two winners*, motorcycle and jacket, winner will be held on Friday, December 30, 2016 at 2:00pm. All website electronic entries must be received no later than December 20, 2016. All mailed entry donations must be received at the Museum by 2:00pm December 30, 2016. You need not be present at the drawing to win. If you include your daytime phone number, we’ll call you if you are the lucky person! Include your email address and we can drop you a note if you win. 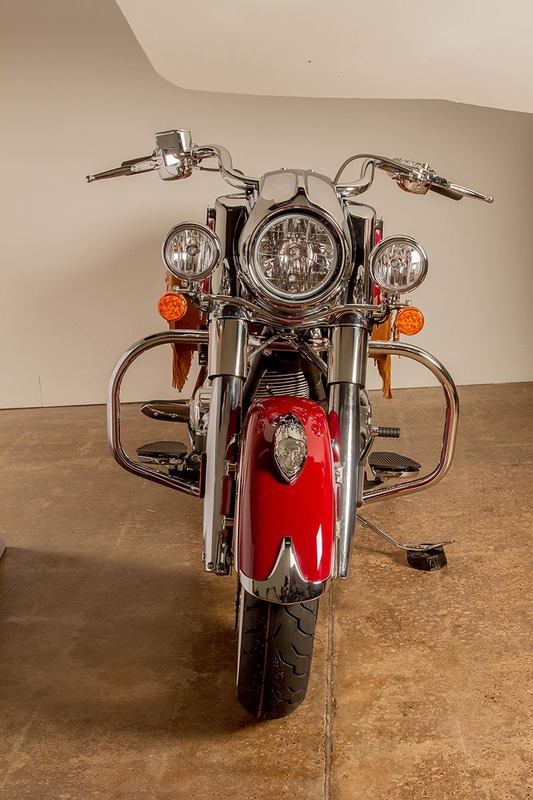 The National Motorcycle Museum is a 501(c)(3) non-profit corporation that relies on donations and fund-raising activities including this raffle to help preserve and present the exciting history of motorcycling. We are excited about the new Museum and how it will help us better tell the great stories of American motorcycling. So, again, thanks for your support. We hope the new larger facility with annual changing exhibitions and other improvements are something you will be proud of, something you can say you have had a part in creating. If you would like more information about this fundraiser or other National Motorcycle Museum support programs, please contact us at 319-462-3925. We appreciate your involvement and always look forward to hearing from you! 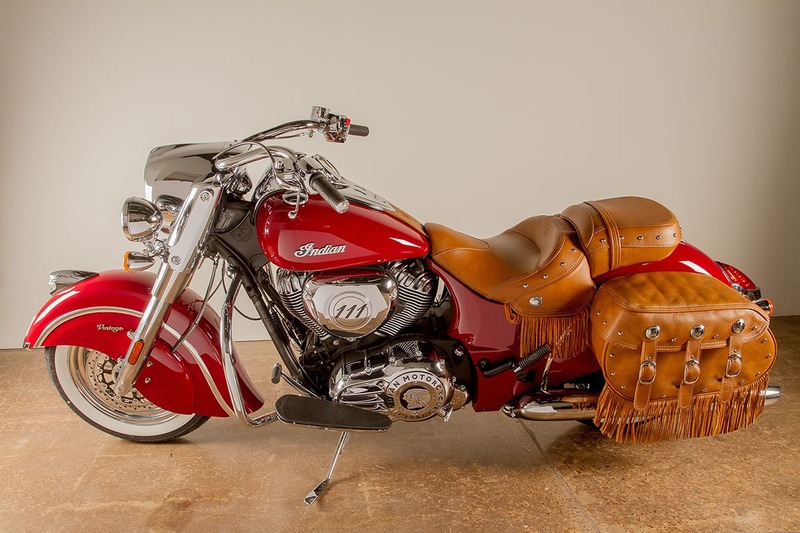 *The donor for the first eligible ticket pulled wins the 2016 Indian Chief “Vintage,” the donor for the second ticket pulled wins the Indian RACER jacket.